We’re looking forward to you registering for the conference. Please remember you must make your room reservation separately from registering for the event. For more information, contact Dr. Leonard Githinji at ((804) 524-5482 or lgithinji@vsu.edu or call the Sustainable and Urban Agriculture Program office at 804) 524-5960. If you are a person with a disability and desire any assistive devices, services or other accommodations to participate in this activity, please contact Mollie Klein (mklein@vsu.edu) or call (804) 524-5960 / TDD (800) 828-1120 during business hours of 8 am. and 5 p.m. to discuss accommodations five days prior to the event. *Note: There is an extra $25 fee for the Chesapeake bus tour to cover the cost of tastings, tour and souvenir beer glass at Back Bay Farmhouse Brewing Company. The workshop will culminate in hands-on exercises at the Urban Agriculture Research Demonstration Site. If you are a person with a disability and desire any assistive devices, services or other accommodations to participate in this activity, please contact the Sustainable & Urban Agriculture Program office at mklein@vsu.edu or call (804) 524-5960 / TDD (800) 828-1120 during business hours of 8 am. and 5 p.m. to discuss accommodations five days prior to the event. Sustainable Gardening Practices - Leonard Githinji, Ph.D. Ethnic (Niche Crops) with Market Potential - Reza Rafie, Ph.D. If you are a person with a disability and desire any assistive devices, services or other accommodations to participate in this activity, please contact mklein@vsu.edu with the Cooperative Extension office, Agriculture & Natural Resources at VSU, or call (804) 524-5960 / TDD (800) 828-1120 during business hours of 8 am. and 5 p.m. to discuss accommodations five days prior to the event. Join us for a three-part workshop series where you'll learn how to turn a small yard into a fruitful garden. This program will include classroom sessions and hands-on training/demonstrations. Classroom sessions will be held at Appomattox Regional Library, followed by the hands-on workshop at the Woodlawn Community Center, approximately 10 minutes from the library. 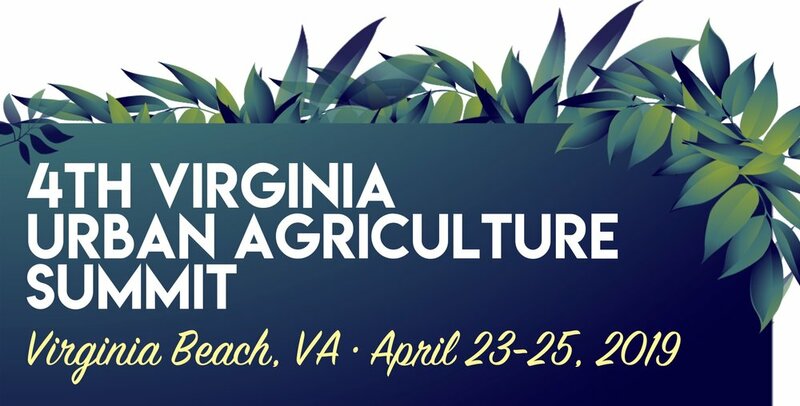 Dr. Leonard Githinji, Virginia Cooperative Extension Specialist, Sustainable & Urban Agriculture, will share how to identify your yard's soil type and how to amend it to have beautiful and productive gardens. If your yard gets full sun and you have access to a hose, you can grow more vegetables than you can probably eat. Join us to learn how to make the most of your space, which varieties do best in containers, and companion planting tips to keep maintenance to a minimum. We'll provide free containers and you'll take home some starter plants, too. Joel Koci, Virginia Cooperative Extension Associate Specialist, Urban Forestry, will share how apples, pears, plums, and blueberries can beautify your yard while providing fresh fruit. You'll learn which varieties do best in our soils and climate, which fruits need partners for pollination, and how to plant and prune your fruit trees to get them off to a good start. DUE TO INCLEMENT WEATHER, THE WORKSHOP HAS BEEN POSTPONED. Virginia State University and Tricycle invite you for a field day to discuss and learn more about Integrated Pest Management (IPM) practices. The field day will include a tour and discussions of various IPM practices that are both ecologically and environmentally sustainable. Integrated pest management (IPM) is a broad-based approach that integrates optimal practices for economic control of pests. It aims at suppressing pest populations below the economic injury level. Specific topics to be covered will include weed control practices, insect pest control strategies, and plant disease management. For more information, contact VSU Agriculture & Natural Resources / Urban Agriculture program office at (804) 524-5960. If you are a person with a disability and desire any assistive devices, services or other accommodations to participate in this activity, please contact the Agriculture & Natural Resources Program Extension office at mklein@vsu.edu or call (804) 524-5960 /TDD (800) 828-1120 during business hours of 8:00 a.m. and 5:00 p.m. to discuss accommodations five days prior to the event. Urban agriculture helps to alleviate urban food deserts, make our food as “local” and fresh as possible and decrease the “food miles” associated with long-distance transportation. It provides a wide range of community benefits, including closer neighborhood ties, reduced crime, education and job training opportunities, and healthy food access for low-income residents. Join us for a hands-on field day to talk about fall gardening! FOR MORE INFORMATION, CALL (804) 524-5960. If you are a person with a disability and desire any assistive devices, services or other accommodations to participate in this activity, please contact the Agriculture & Natural Resources Program office at (804) 524-5960 / TDD (800) 828-1120 during business hours of 8 am. and 5 p.m. to discuss accommodations five days prior to the event.